To commemorate the band's reunion at this August's Wacken Festival, EarMUSIC will release Return To Wacken on June 19th. 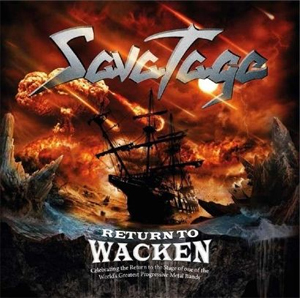 The release features a selection of songs from SAVATAGE's previous appearances at the festival in 1998 and 2002. Besides greatest hits like “Hall Of The Mountain King”, “Gutter Ballet” and “The Wake Of Magellan”, the album booklet gives some real insights into the band with personal memories by Jon Oliva, rare pictures and press quotes.